Spinach is loaded with healthy nutrients, from folic acid to omega-3s. With 12% of the daily recommended calcium requirement in just a single cup of spinach, this green can help strengthen bones and prevent bone loss. 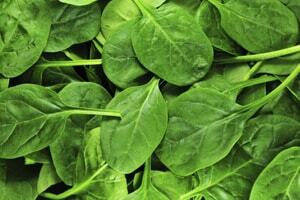 Spinach is also an excellent source of iron, with nearly the same amount per serving as ground beef.